Golden Valley Residency is very popular in the Thrissur hospitality circuit due to its close proximity to a number of important landmarks. The hotel is located in the locality of Aroormuzny at Athirappily at Vettilappara. 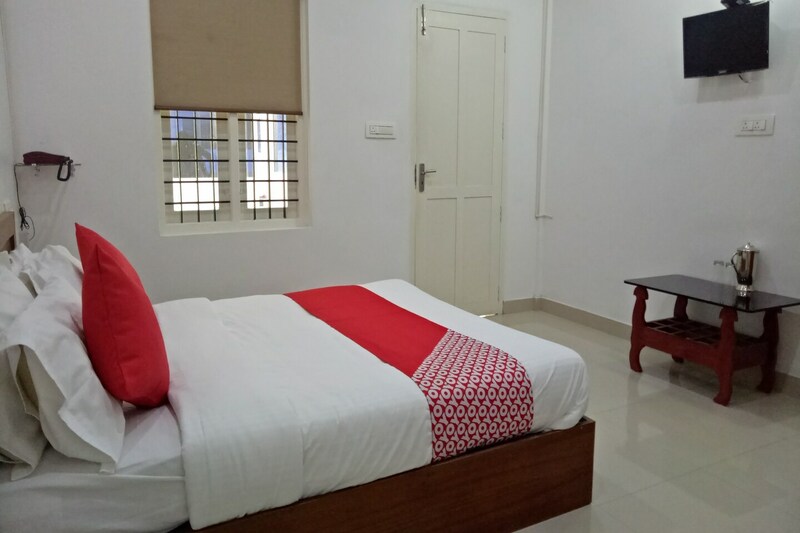 The rooms are very spacious and have been painted in neutral hues which are well complemented by the other design elements of the room. The interior decor is really admirable, and the rooms are well-lit. Every room has been provided with large windows which allow the guests to enjoy a lot of sunlight and fresh air. A number of wooden elements have been used to decorate the interiors of the rooms. The extra facilities provided by the hotel which further enhance the stay experience are free Wi-Fi, and parking provisions. The comfortable rooms and the in-house facilities make the hotel an amazing experience. The hotel is surrounded by a number of essential facilities such as St. Sebastian's Church, Silver Storm Water Theme Park, Holy Angel's Convent, and Thumbiirmuzhi Garden.